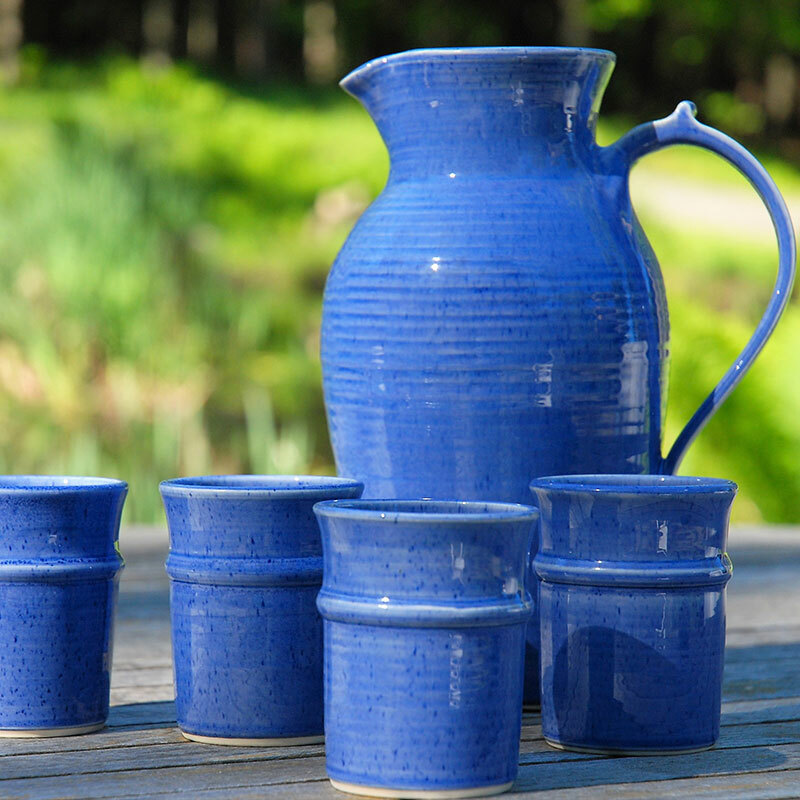 Robin Badger’s pottery is created in porcelain on a potter’s wheel and glazed in cobalt blue. It is dishwasher, microwave and oven friendly, made to be used and enjoyed everyday. After 26 years of studio production, Robin is also creating new, one of a kind pieces that touch the soul and reflect an inner joy of living.